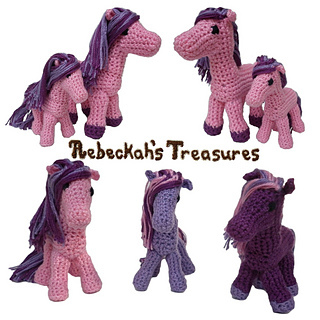 Create a fun family of ponies with just one pattern! 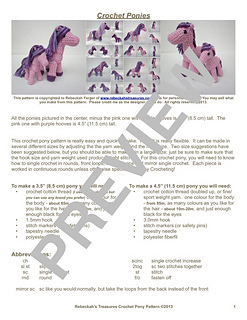 This pony pattern can be adjusted to different sizes just by adjusting the hook size and yarn weight. 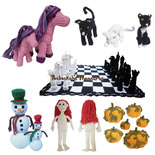 It can easily be customized by playing with the colours of the pony, its hair and its hooves. Pattern includes written instructions. Detailed photos included show exactly where to sew the body parts together and where to put the mane and tail. This pattern is copyrighted to me. You may sell whatever you make from my pattern. Please credit me as the designer if you do. Thank you.